Some of us are born Martha Stewarts. Hostessing is our game, and whipping together an intricate, detailed tea party hardly requires batting an eye. For the rest of us, though? Simple, elegant, and easy-peasy is a little more attainable, allowing for the perfect warm + welcoming party atmosphere without the planning-panic that can so frequently accompany the hostessing role. 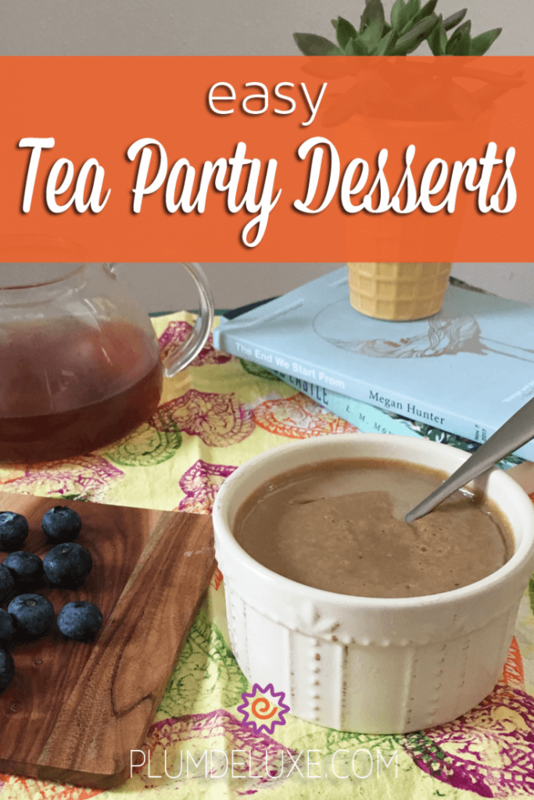 Compiled below are some of our favorite simple and delicious easy tea party desserts, sure to please even the most discerning of Marthas. Some of the most impressive easy tea party desserts require almost no planning or stress, and usually use ingredients you’ll find stashed in your cupboard on any given day. 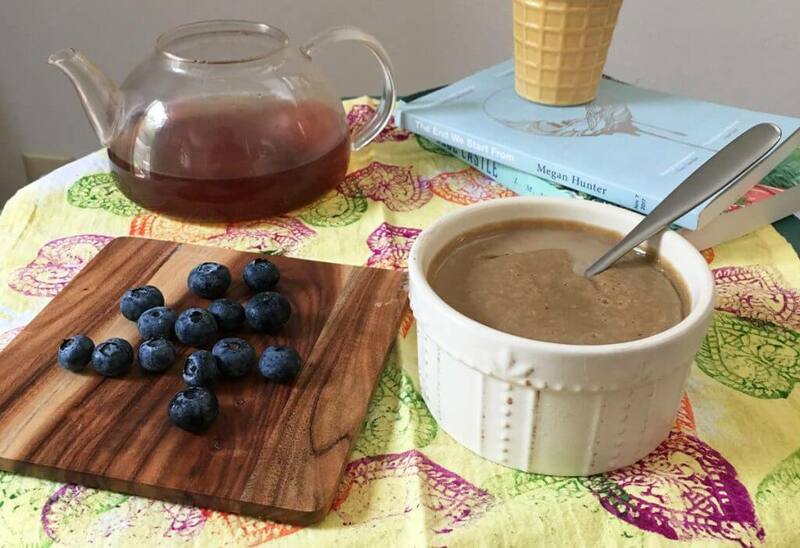 In just about ten minutes (save for a little hands-free steeping time), you can have this dairy-free custard infused with Plum Deluxe’s creamy, complex and floral Reading Nook black tea blend cooling in the fridge, ready for your afternoon guests. I’ve also compiled some of the quickest, tastiest, and most impressive desserts from our blog below to help you round out your tea party offerings with minimal effort on your part. Who said being the consummate hostess required a lot of effort? Add the milk to a medium saucepan, mix in the tea leaves, and heat over medium-low heat for ten minutes. While the milk is heating, add the egg yolks, honey, and tapioca starch to a medium-sized bowl, and begin to whisk to combine. Whisk the milk occasionally until it begins to steam, not boil. When ten minutes is up, remove from heat, and strain tea leaves from milk. Discard tea leaves. Slowly incorporate a small amount (1/2 cup at a time) of the milk into the bowl of egg yolk mixture, whisking constantly as you pour. Continue to pour as you whisk, until all milk has been incorporated into the egg mixture. Pour this combined mixture back into the saucepan. Heat mixture on stovetop over medium-high heat, whisking constantly, until custard begins to bubble and thicken, like pudding. This may take around 5-7 minutes. Once custard has thickened, pour into individual ramekins or small glass jars, and refrigerate for a few hours or until set. Looking for something crunchy to dunk in those teacups? This roundup of three melt-in-your-mouth buttery shortbread cookies is the perfect accompaniment to a hot cuppa, without all the muss and fuss. I love how these coconut meringues are the perfect foil to my tea-infused coconut custard. Save the leftover egg whites from separating yolks for custard, and knock out two delightful desserts in one! These also satisfy an allergen-friendly crowd just like the custard, using creamy coconut for flavor rather than potentially troublesome gluten, corn, or dairy. Who doesn’t love chocolate at tea time? These dark chocolate seed and nut bites next to these rich and dreamy dairy-free chocolate truffles will have all your guests swooning, with little to no effort in the kitchen. Finally, channel your guests’ inner child with the simplest no-bake dessert with a twist: salted caramel rice krispy treats! The oldest trick in the book? Perhaps. But also the most delicious. With these recipes in your arsenal, serving delicious and easy tea party desserts to your guests has never been simpler on you (or your dishwashing and party-planning capabilities). 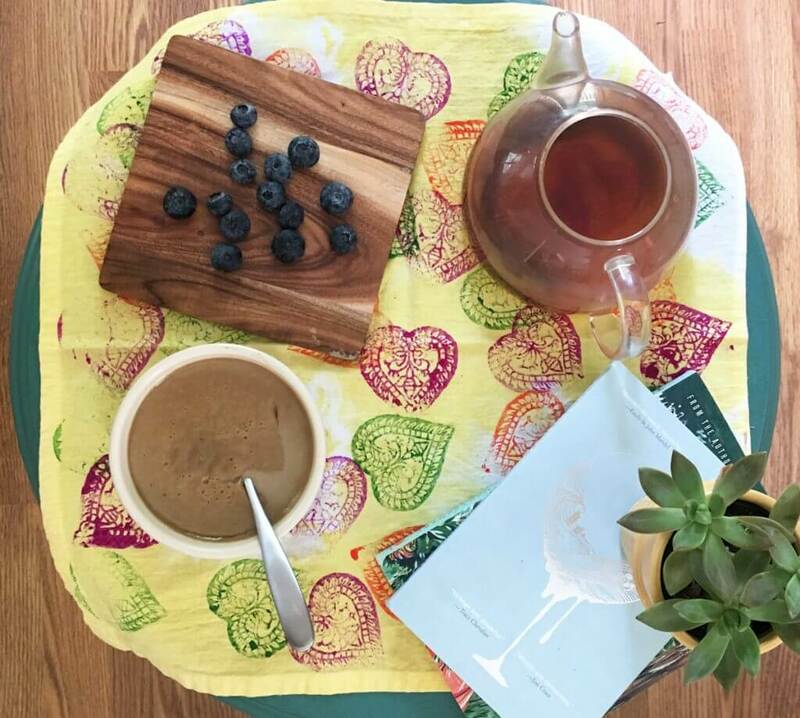 Whip up a few snacks, brew a teapot or two of your favorite loose leaf blend, sit back and relax, and enjoy the party!